Sending postcards home is such a charming and beautiful gesture, which we love doing on our travels, especially during longer trips. We have many older family members who do not use the internet, so the main way we communicate with them is via telephone or by sending them postcards – and they absolutely love it. Sending postcards is in fact on the rise in our internet age. During our travels in Asia, we would send one postcard to family in each country we visited. We did this quite religiously and have tried to keep it up during our big trip across Latin America. Sadly, the practicalities of doing this manually have always been a bit of a challenge, especially when most of the time it's a gamble as to when or if they will be received. Doing it online means there is no gamble, the postcards are received and in a much quicker period of time, therefore allowing us to send them more frequently. 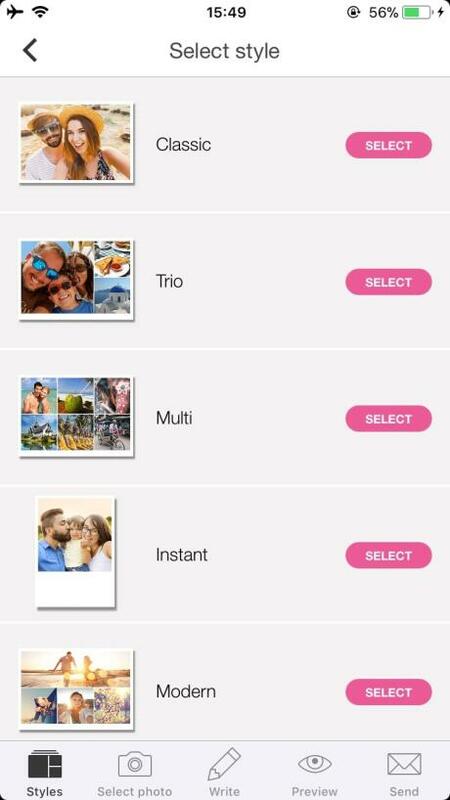 These are our 5 reasons why we think you should be sending your postcards online, based on our experience of sending postcards home manually via local post offices, and more recently via the MyPostcard app. They are certain to be delivered! ORDER YOUR FIRST POSTCARD NOW: FREE! On a number of occasions, we discovered that several of our postcards sent manually were simply never received back home. Countries in Latin America are notorious for this, especially in Ecuador. In October 2016, we spent an entire day preparing and sending home a whole bunch of postcards, only to find they were never delivered. A year has gone by and our families have still not received our news from this segment of our travels. And international stamps in Ecuador are not cheap! We have since learnt that in Ecuador, post is notoriously just thrown away by post office officials or simply lost, and therefore rarely delivered! We were so disheartened to hear this that this was largely the reason we reluctantly just stopped sending postcards home manually and have been doing it online instead. Every postcard we have sent online has always been delivered safe and sound, without any delays, problems or fuss. From our experience, we've found that sending postcards manually from abroad takes around 4-6 weeks to be delivered. The longest delay we experienced was sending postcards home from China, which took around 4 months to be received! The postcards we sent via the MyPostard app took no longer than 1 week. This truly has been revolutionary for us – whereas before we'd wait a few months for our families to enjoy our news, now it's more immediate, making it more exciting. Sending postcards manually is also a bit of a gamble as to if and when they'll be received. Sending it online, it is tracked. You receive an email confirmation of the order, along with a time estimate for delivery, and a contact to complain to if there's ever any delay. Sending a postcard home online is quick and painless. It takes a few minutes and can be done anywhere as long as you have internet connection. Sending it manually, first we had to find a souvenir shop and would spend ages picking the ideal postcards. Then we'd spend time writing it (you'll be so surprised how hard it is to find a pen when you're travelling! ), and finally we had to track down a post office, ensuring we go during working hours on a week day, spend time queuing to buy the stamp before finally posting it. A good chunk of a day is spent sending postcards home manually. Now that we send postcards online, it takes minutes. You log into the app on your phone, upload your photo(s) from your gallery, add your text/recipient's details, then hit the send button. It's so efficient that we can now send them when we want, without the stress of having to find a post office and visit it during working hours. Sending postcards online allows you to use your favourite photos from your travels. Whereas before we'd spend quite a bit of time in souvenir shops trying to pick the most appealing and appropriate image, now we can do this ourselves. This also allows us to include photos of ourselves in each postcard. So instead of having a generic image of, say a llama with the backdrop of Machu Picchu, we can now send a photo of us posing with a llama with the backdrop of Machu Picchu. We love that we can personalise our postcards and know that our family appreciates this a lot more than a generic postcard image. A one off postcard in the MyPostcard app is around £2/$3, which includes postage and delivery. The more you purchase, the cheaper it gets in the long term. For example, when we buy $40 of credit, we get a $10 bonus price to use. In addition, in some countries, the cost of international stamps is so high, that it makes sending postcards home manually quite expensive, especially if you're sending them in bulk. We found this to be the case in the Maldives and also in Laos. The worst was in Ecuador where a stamp costs several dollars, and is unlikely to be delivered despite the time and money spent on it! Sending postcards online, the cost is always the same, regardless of where you're sending it from. Don't take our word for it – try it out yourself for free. We're offering our readers the chance to order their first MyPostcard.com card for free by entering our code nomadicboys at checkout, either online or in the app, available in itunes/Apple and Google Play.